Video surveillance is something most people may need no matter if it is for home protection or protection of business and governmental institutions. One of the key advantage of video surveillance is that it have a preventive / deterrent effect on those who are considering breaking into a property. But many unfortunately also choose to acquire a surveillance system when the burglar already has given a visit. Therefore, we always recommend that if you live in a exposed area where the burglary rate is high, it would be a good idea to acquire some sort of protection. We see ourselves as experts in helping and to provide assistance to all our customers who are looking for a way to protect their property. We are here for you and ready to guide you no matter if you need a simple security solution or a solution that is complex. 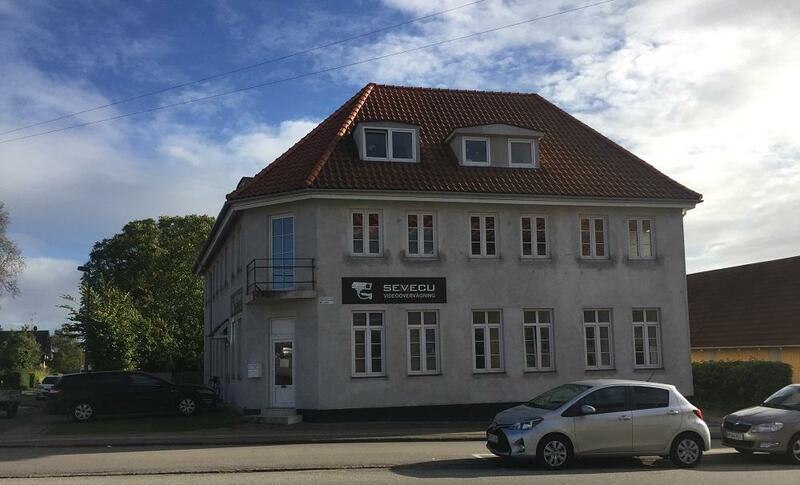 Sevecu Security Systems is a part of Sevecu Denmark. Our headquarter is located in Denmark. Our stock is located in Denmark and Spain with the help from our logistics partner Visitech Security and from here we are able to distribute all of our products to the entire EU within 3-4 business days. We offer a high level of technical support in English that is of cause free of charge. We believe that we can make countries within EU to an even more safe place to be. Societies without the concern for burglaries, theft, assaults and robberies! The way we want to do it is to deliver user-friendly and reliable high-quality video surveillance, which can be easily operated directly from smartphones, tablets, Mac and PC.